Gingerbread houses constitute a delightful Christmas tradition. 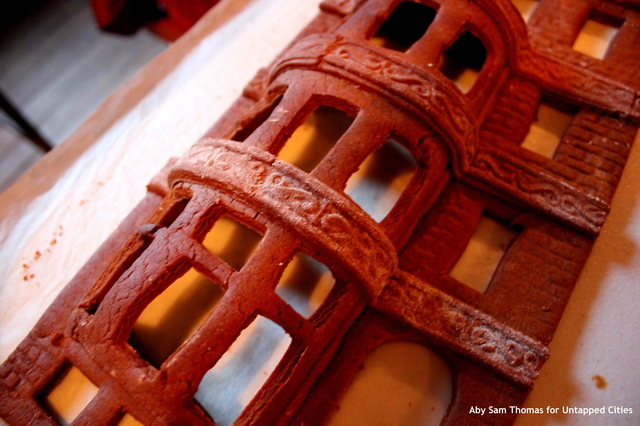 This year, architect and professional chef Renee Baumann is creating a community gingerbread project in Brooklyn on an entirely different scale. She put out a call for volunteers and soon filled a 9-day schedule during which time they will create an entire block of gingerbread brownstones. I can't wait to see the final product. If her individual gingerbread brownstone from last year is any indication, this cookie-based urban center will be magnificent. Click here to read more on the Untapped Cities blog. Get Ready for 12 Days of Christmas Candy! The 12 Days of Christmas Candy: Coming Soon!